​The NFL has a domestic abuse problem. Whether it was the mishandling of the Ray Rice debacle or the cringe-worthy Greg Hardy situation, the league has had a hard time disciplining inappropriate actions by its players. The 49ers, on the other hand, do not have a domestic abuse problem. When it came out that LB Rueben Foster was ​arrested at the team hotel late Saturday night, the team did not hesitate to ​cut him. 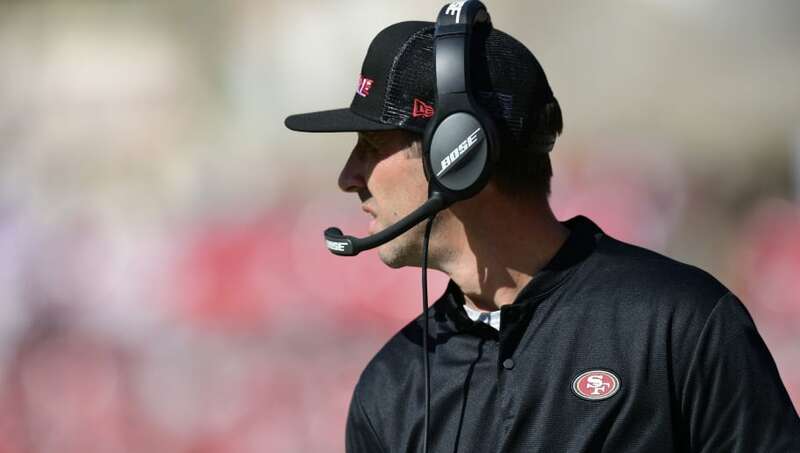 While other franchises may have grappled with what to do, head coach Kyle Shanahan insists that the decision was actually very easy. It's refreshing to see a team take such imminent action against a player. The allegations levied against Foster were clearly serious enough for the police to hold without bail so San Francisco knew that this was not another ​David Irving situation. ​​The talented linebacker is no stranger to controversy. The 49ers knew that when they drafted him in the first round back in 2017. Foster already has a ​history of domestic abuse allegations, though ​the charges were later dropped. This time, however, ti appears that Foster won't be able to maneuver his way out of this one so easily. Shanahan and the 49ers absolutely did the right thing in releasing Foster. Whether the league follows suit and hands down a lengthy suspension (or even a potential ban) remains to be seen. Hopefully, both the league and the thirty-one other teams across the league will heed San Francisco's example and refuse to let talent outweigh players' disturbing actions off the field.